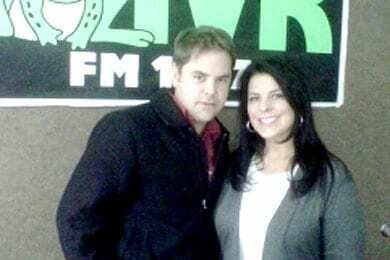 Curb recording artist Steve Holy visited WIVK/Knoxville to promote his new single “Love Don’t Run.” (L-R): Holy and WIVK's Colleen Addair. Note: Today’s chart edition is the final one of 2010, and we will take the next two weeks off. The first chart of 2011 will be published on Friday, January 7. Happy Holidays! Keith Urban will close out 2010 with “Put You In A Song” at the top of the CountryBreakout Chart for a second week, followed by his Capitol Nashville cohort Luke Bryan’s “Someone Else Calling You Baby” at No. 2. Most of the Top 10 looks strong heading into the break, particularly Kenny Chesney’s “Somewhere With You” as it moves up to No. 6. Thompson Square’s “Are You Gonna Kiss Me Or Not” is seeing a spike in activity as it moves 19-17 with 149 spin gain. It’s trailed by Darius Rucker’s “This” at No. 18 and Brad Paisley’s quickly rising “This Is Country Music” at No. 19. Entering the chart this week are Trace Adkins’ “Brown Chicken, Brown Cow” at No. 73, Jadi Norris’ “Home Is Where The Heart Is” at No. 79, and D. J. Miller’s “A Snowman In Birmingham” at No. 80. 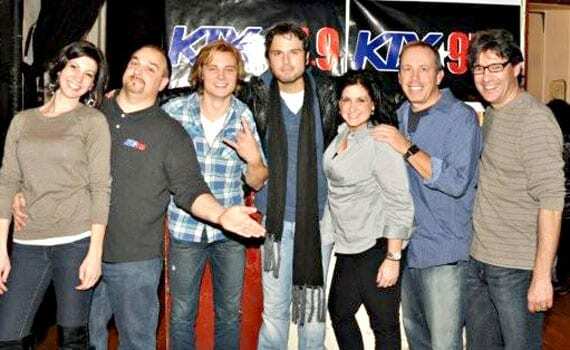 Chick Wicks and Frankie Ballard played recently at the WPKX/Springfield, MA Toys for Tots show. (L-R): Warner Music MW/NE Regional Lindsay Walleman, WPKX PD Mike Tyler, Ballard, Wicks, KPKX’s Kera Burke, and WPKX PD Don Gosselin. 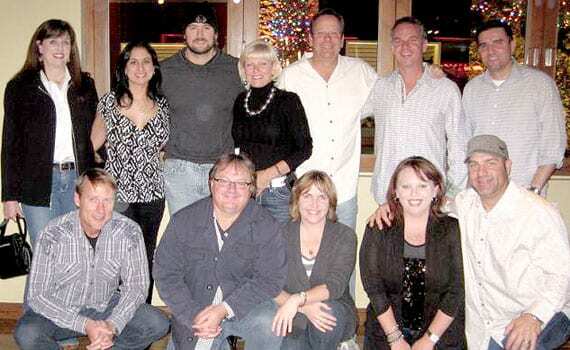 EMI Records Nashville’s Eric Church and radio programmers gathered in Las Vegas last weekend for the final show of the 2010 CMT tour. (L-R) back: KSOP’s Deb Turpin, KNTY’s Kelly Symone, Church, KRTY’s Tina Ferguson, KTRY’s Nate Deaton, EMI Records Nashville SVP Promotions Steve Hodges, and KCYE’s Justin Chase. Front: WKIS’s Ken Boesen, KWNR’s Cary Rolfe, EMI Records Nashville VP Promotions Angela Lange, EMI Records Nashville Promotions Trudie Daniell, and EMI Records Nashville Ron Bradley.